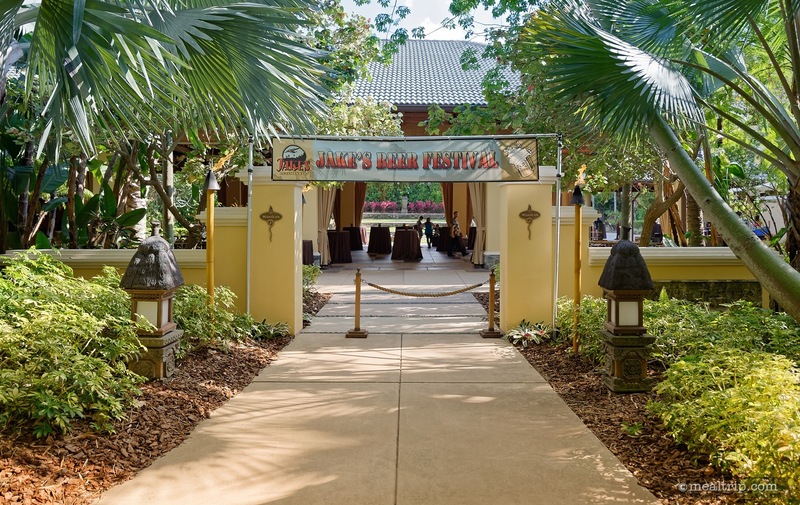 Taking place at the Loews Royal Pacific Resort (Universal Orlando), Jake's Beer Festival is a beer tasting event hosted by Jake's American Bar. The event usually takes place twice each year, once in the spring and once again in the fall. 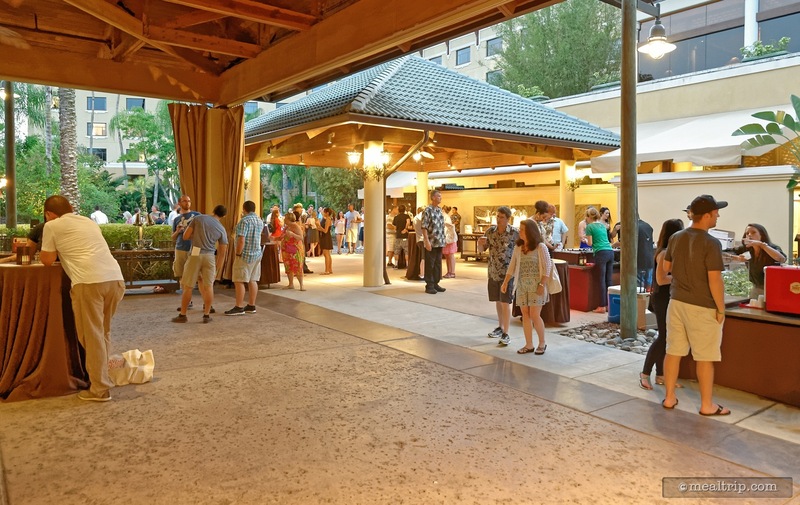 Over 50 craft beers are available and are served by vendors that usually have additional information (tasting notes, etc.) about the beers they are serving. 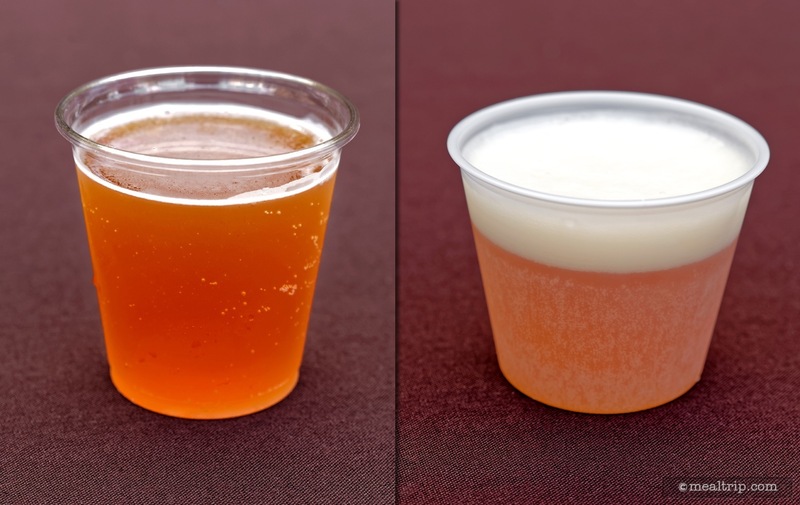 The beer samples are served in small three to five ounce sized cups. 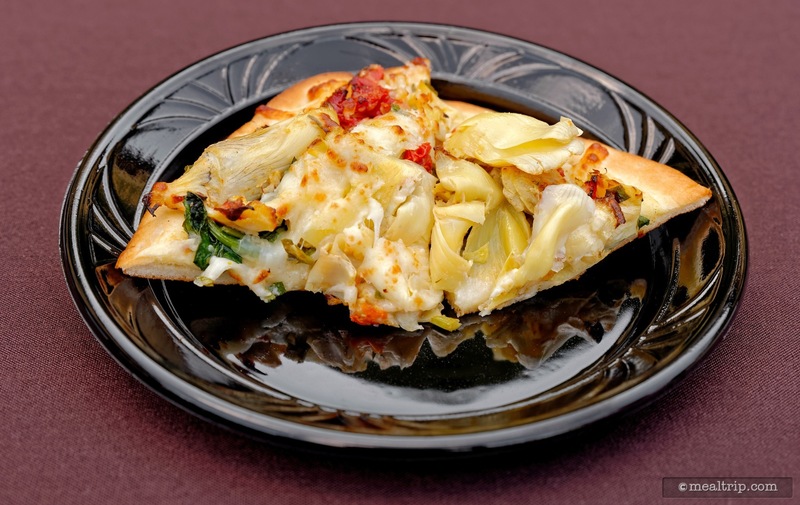 Five or six savory food items and two or three dessert items are also available. The event mostly takes place in the outdoor Wantilan Pavilion and a small live band provides a few sets of background music. There are two entrance levels to the festival. 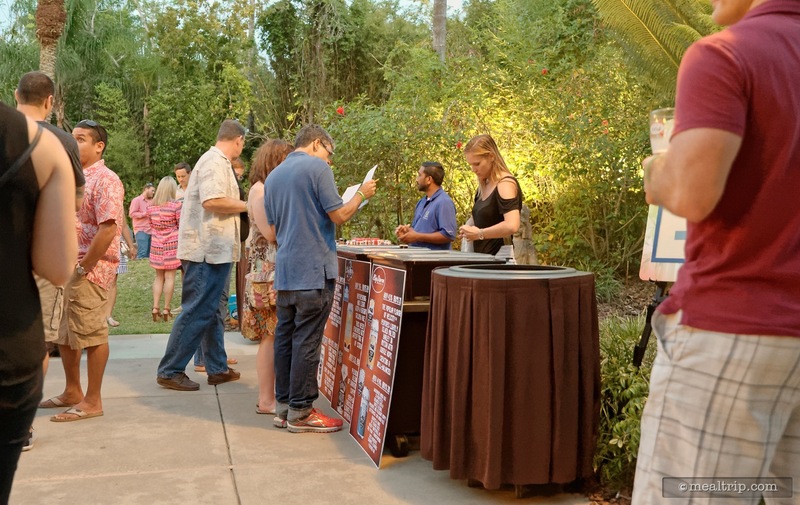 A standard ticket includes entry into the event space along with unlimited beer and food samples during the three hour event. A VIP ticket will get you all the benefits of the standard ticket plus access to the air conditioned "Clipper Room" in the nearby Jake's American Bar, plus additional beers, a collectible pint glass, and a few other extras. The standard ticket was $35 for the spring 2016 event and $45 for the VIP level (plus tax and ticketing fees). 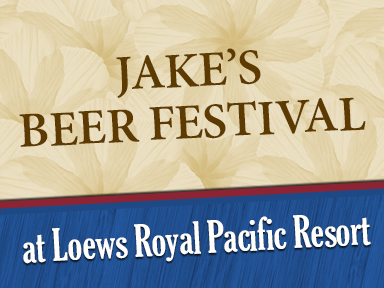 Jake's Beer Festival at Universal's Loews Royal Pacific Resort is a semi-annual event, usually taking place once in the spring and once in the fall of the year. 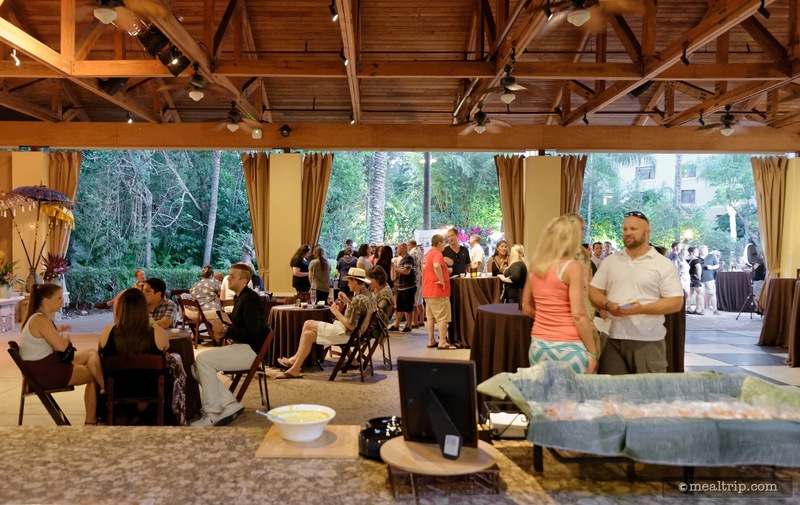 There are at least 50 somewhat common beers (mostly ales, if you want to get technical about it) to sample and eight (give or take) food samples that are offered in an all you care to enjoy format, for three hours. A VIP admission level is also available for around $10 more than the $35 base event ticket (spring 2016) (plus tax and ticketing fees). The VIP colored wristband will get you into the "Clipper Room" which is where they keep a few of the less common beers and the air-conditioning. There were over 50 day-ales available for tasting in small 4oz cups. The beers probably aren't too hard to find at a decent sports bar but unless you're into flight drinking, you may not have tried all of them. That's really what this beer festival is about, getting to try a flavor or brand that you've seen, but weren't sure about ordering. 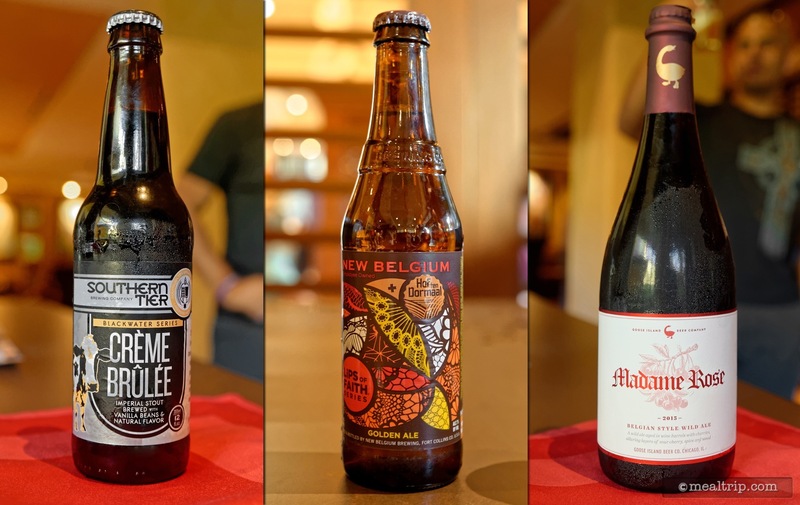 The VIP Room did offer a few less common ales that are not as easy to find, like New Belgium's Hof Ten Dormall and Southern Tier's Creme Brûlée Stout. 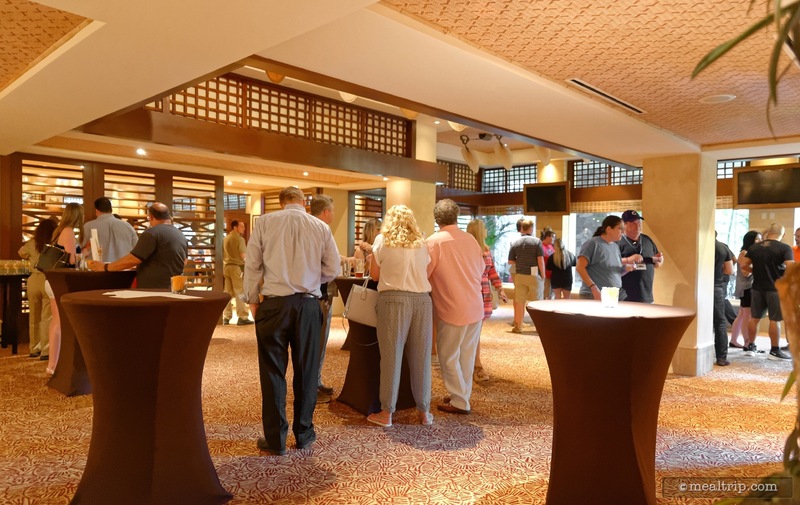 For me, the extra $10 for the VIP room was worth getting… if for no other reason than the chance to stand in air-conditioning for a few minutes. The beers in here, were better than the beers outside. If you're just looking for a beer buzz, the standard admission will do the trick. 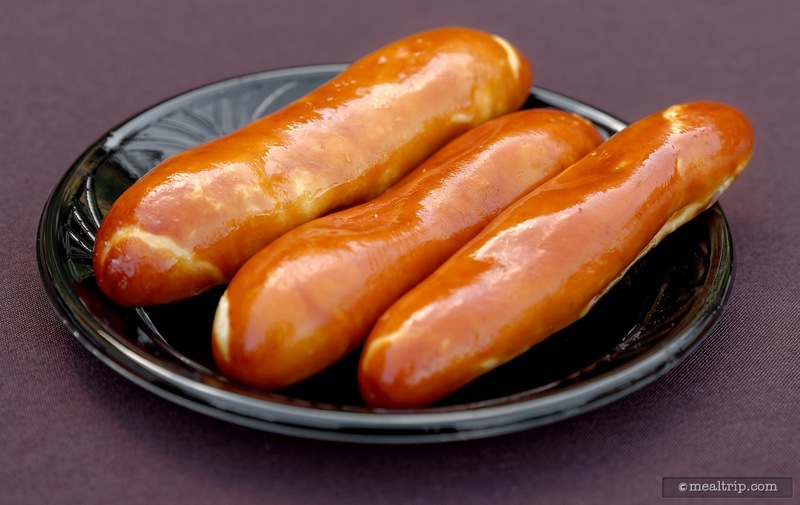 Nothing here really raised itself to a "foodie" level, it's all mostly high-carb finger foods that are in fact on the appetizer menu at Jake's American Bar. That's not saying anything was bad, it all paired extremely well with the various beers that were available. The Gulf Shrimp & Snapper Crudo (ceviche) was probably the most foodie-worth dish. 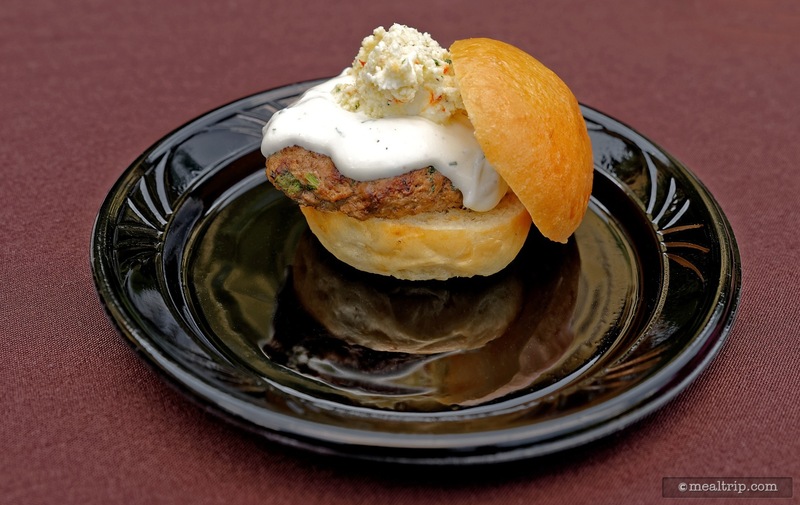 We were also drawn to the Baby Spinach and Artichoke Flatbread (as long as you like artichokes), and the Lamb Kefta Slider. 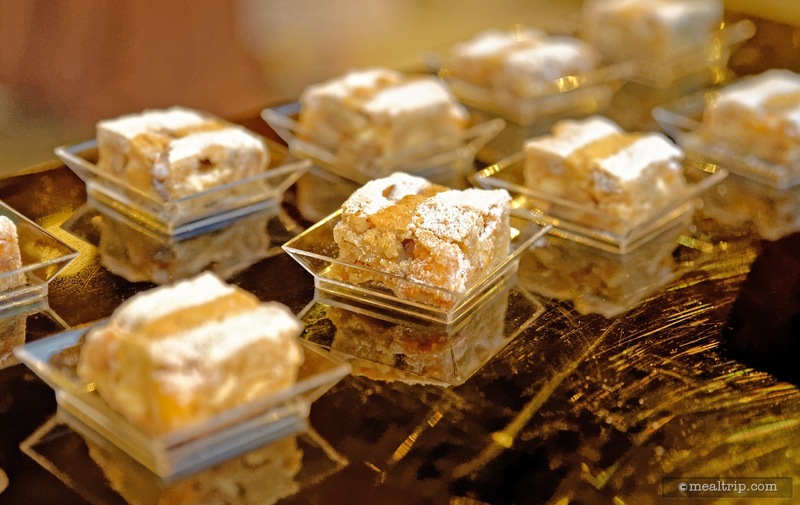 Event planners… count how many tickets you've sold and put out that many chairs and tables, or count the number of chairs and tables you have access to, and only sell that many tickets. 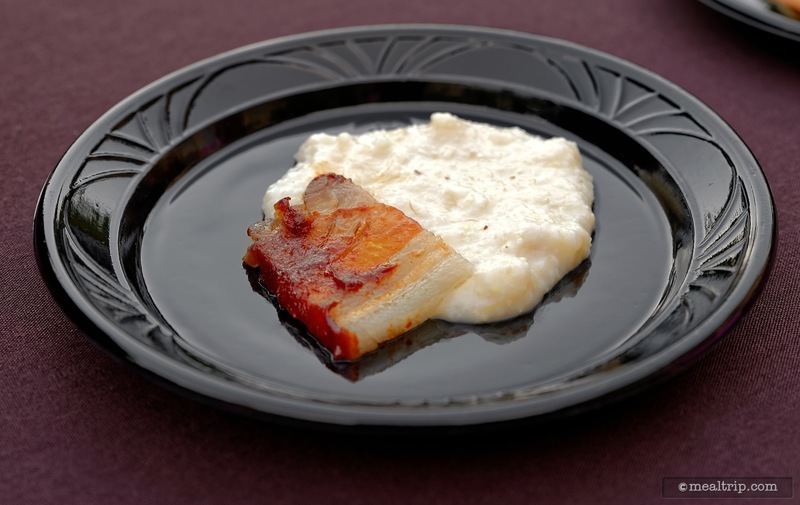 Have you ever tried holding a beer and a plate that has a Pork Belly with Zellwood Corn Grits, and then also grabbing a fork and eating it? Probably not… because you're not an octopus, you're a human, with two arms. Yes, there's going to be some guests that want to do nothing but stand up for three hours drinking beer. Hummm… I'm not even sure that's the case… but my point is, there just weren't enough places to "be" at Jake's Beer Festival. At it's peak attendance level (about an hour into the festival) the event felt over-sold, which in-turn, made the whole thing feel a little unplanned and hap-hazard. If you're going to plate anything, you need two hands, which at best means you'll need a standing table to put down your beer. The only option here is to drink your beer samples first, then nosh on an item… then go back and get more beer, and then another item. It kind of nixes the idea of "pairing". 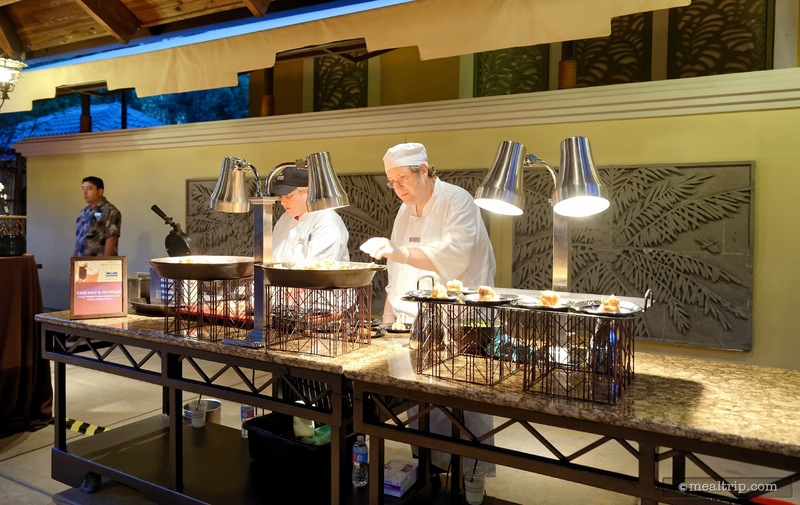 At some point, even at the lowly $35 standard level, guests are going to want to visit with each other, friends that they've invited, or new friends they've just met. There's simply no location to just "hang out" at the festival… with the exception of a few tables in the center of the Wantilan Pavilion that were snatched up by early birders (and never relinquished), and a few back-support-less, earthen, mass-bench type seats around the fire pit... there were only two dozen more seats available at the "smoking exile" table a good 500 feet away from outermost edge of the shindig. I'm glad I purchased tickets to the VIP room, even though things weren't much more organized in here, the beers were in fact... better. There was air conditioning and a single large, padded, bench style seat as well, so if you didn't mind sitting like birds on a wire, all was good. Some VIP guests received cool looking burlap type bags with unique beer glasses, while other guests that weren't in the room the-very-second that it opened had to ask were the included "collectible pint glasses" were. It seems, there weren't enough goodies to go around, to make all the goodie bags the same quality level. I ended up with a Jake's Beer Glass, a sticker, a paper coaster, and some lip balm. The advertised "more generous pours" were available in the VIP room, but only if you really pressed the beer vendor... it seemed as though they didn't have enough of the popular ales to last all night and were hesitant to pour anything more than the 4oz samples that you received outside. I also still have no idea what Firkin First Draft is (another of the advertised VIP benefits). There was no time or information available as to when, what, and where that was supposed to happen. If you're in the area and have nothing better to do, it's a fun event… especially if it's not extremely hot outside. This is going to be a "stand around for three hours" festival for most guests. This isn't really a "foodie" event, so much as it is a chance to try some local craft ales that you might not order without trying first. Think of it as a giant 50 beer flight. I still think special events should be… special… and so this one didn't really tick that box for me. 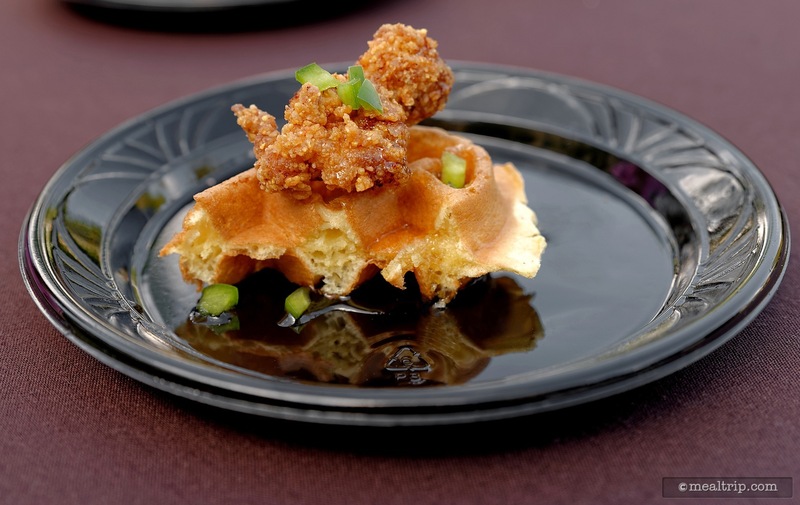 $35 (plus tax and ticketing fees, which will drive it up to $40) is about the lowest costing theme-park related event that I can think of… and yet, I'd be willing to pay double that, if there were more focused unique craft beers, a place to sit, food that was created with pairing in mind, and an experienced staff that had a programmed event planned, from top to bottom.